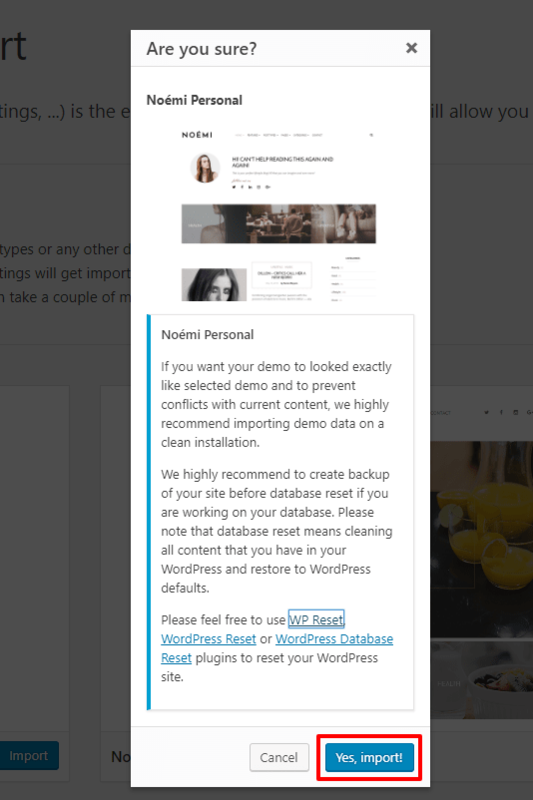 If you haven’t already, you will be prompted to install the WordPress Importer free WordPress plugin. Just install it like you would any other plugin, and after you activate it return to this screen. Then click the Browse button to select the xml sample data file you would like to upload, and click Upload file and import. Next Your should see the following screen.The importer will give you the option to either import our demo users, or to assign the posts to an existing user on your WordPress site. For each option we recommend that you assign the posts to an existing user (ideally your user account, since you are the one working on the website). You’ll also see an option to import file attachments. Check this box only if you want to import all of the image and media files included in our RS-Card demo. Click submit to import the sample data. Once complete you should see a successful import message. Go to Appearance ▸ Menu to set your menu locations. Set your homepage at Settings ▸ Reading using the Homepage as a static page. Go to the Customizer setup your main options!